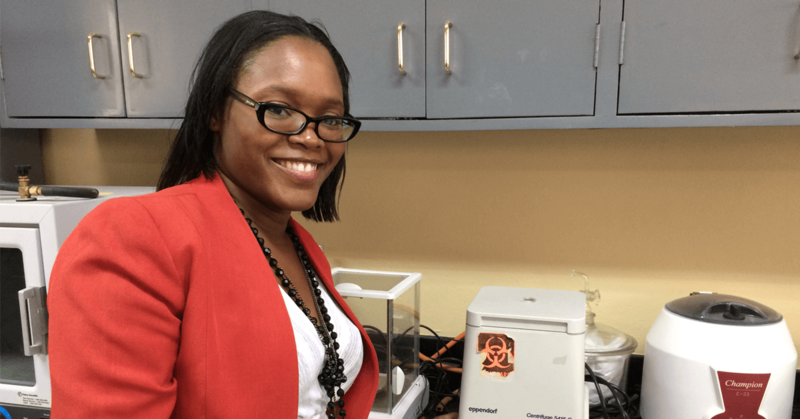 A garbage dump may seem like an unconventional setting for research, but Dr. Aneisha Collins-Fairclough (above) of the University of Technology, Jamaica (UTech) sees enormous scientific potential. 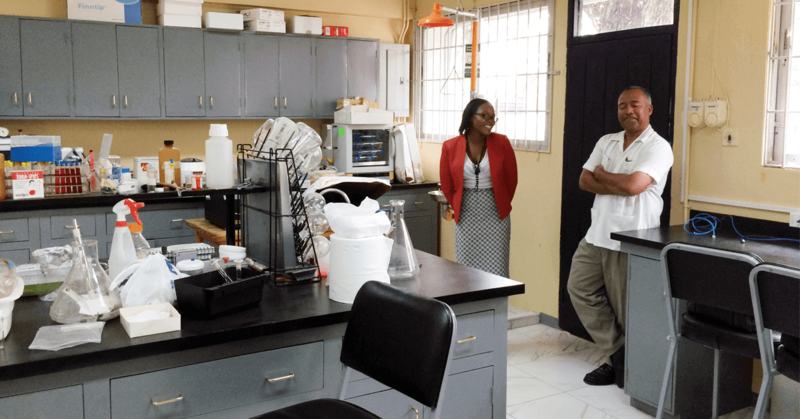 Since receiving an Instrumental Access shipment of equipment from Seeding Labs in 2014, Dr. Collins-Fairclough has been harvesting the microbiological riches of the Riverton City Dump, Jamaica’s largest solid waste disposal site. She collected water samples with her students from the dump’s leachate ponds as well as the adjacent Duhaney River, which runs through residential communities before draining to—and potentially polluting—Kingston Harbor. By extracting and analyzing DNA from the water samples using metagenomic analysis, Dr. Collins-Fairclough can identify all of the microorganisms in the samples, including those present in such small numbers that they would have gone undetected by conventional methods. Hiding within the samples will almost certainly be evidence of organisms that are new to science, having evolved to survive the dump’s extreme environment. Their unique metabolic capabilities may prove useful for bioremediation, drug development, or formulation of agricultural chemicals. Analysis may also reveal dangerous pathogens posing a public health threat. By understanding the extent to which the landfill is a source of these disease-causing organisms, Dr. Collins-Fairclough hopes to minimize health risks to the neighboring community. The key enabling items for this work were consumables and a micro-centrifuge from Seeding Labs, which Dr. Collins-Fairclough and her students used to patiently process 300 L of water samples in 50 mL increments. While not necessarily the ideal tool for the job, Dr. Collins-Fairclough stated unequivocally that the work could not have been done without it, as it was the only centrifuge to which they had access. The initial phase of Dr. Collins-Fairclough’s project was supported by a small grant from UTech’s Research Development Fund, which she says could not have been obtained without the equipment from Seeding Labs. Dr. Collins-Fairclough is collaborating with a researcher from the University of Waterloo in Canada whose work focuses on understanding the diversity and function of microbial communities in contaminated sites, like municipal landfills. The collaboration will be enhanced through a Canada-CARICOM Faculty Leadership Program scholarship awarded to Dr. Collins-Fairclough this spring. Through a research exchange, Dr. Collins-Fairclough will travel to the University of Waterloo in January 2018 to perform advanced bioinformatics analyses of the metagenomics data set from the landfill. 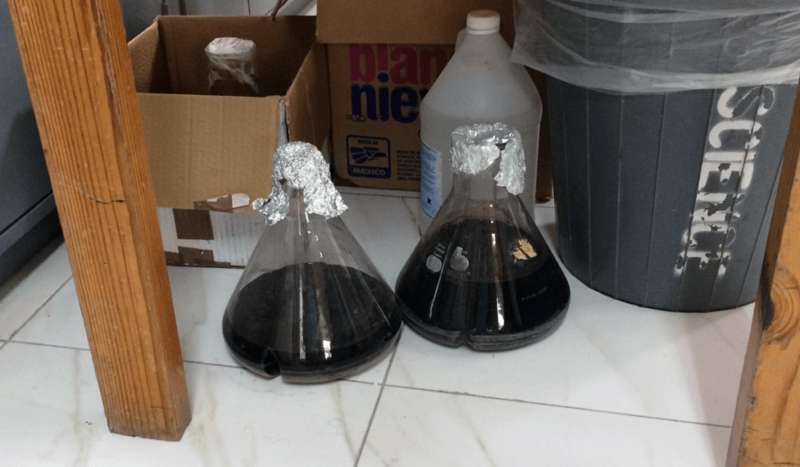 In 2016, Seeding Labs sent a second shipment to UTech, this time to the Department of Pharmacy. The new shipment included a larger centrifuge that will enable Dr. Collins-Fairclough and her students to expand their work. Seeding Labs selected the University of Technology, Jamaica for our Instrumental Access program to enhance teaching and accelerate research. We are grateful for the equipment donated by Seeding Labs that will enhance our research and teaching! As the country’s national University, the history, focus, and current activities of the University of Technology, Jamaica are extremely important to supporting Jamaica’s development!